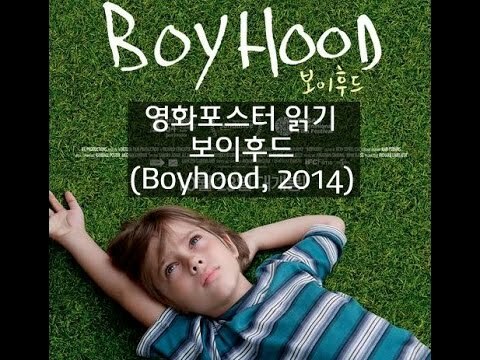 Boyhoodis a 2014 American independent coming-of-age drama film written and directed by Richard Linklater , and starring Patricia Arquette , Ellar Coltrane , Lorelei Linklater , and Ethan Hawke . 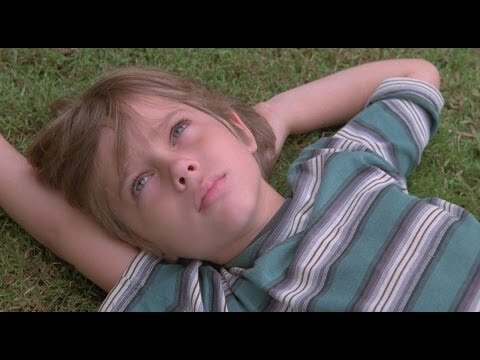 Filmed from 2002 to 2013,Boyhooddepicts the childhood and adolescence of Mason Evans Jr. (Coltrane) from ages six to eighteen as he grows up in Texas with divorced parents (Arquette and Hawke). Richard Linklater's daughter Lorelei plays Mason's sister, Samantha. and was released theatrically on July 11, 2014.The film also competed in the main competition section of the 64th Berlin International Film Festival ,where Linklater won the Silver Bear for Best Director .The film was nominated for five Golden Globe Awards , winning Best Motion Picture – Drama , Best Director , and Best Supporting Actress for Arquette. It also was nominated for five BAFTA awards, winning for Best Director and Best Film . Additionally, it was nominated for six Academy Awards including Best Picture , Best Director , Best Supporting Actor for Hawke and Best Supporting Actress for Arquette, which she won. In 2002, six-year-old Mason Evans Jr., and his older sister Samantha live with their single mother Olivia in Texas . Mason overhears Olivia arguing with her boyfriend, saying she has no free time due to parenting. In 2003, Olivia moves the family to Houston , so she can attend the University of Houston , complete her degree, and get a better job. In 2004, Mason's father, Mason Sr., visits Houston and takes the children bowling. He promises to spend more time with them. When he drops the kids off at home, he argues with Olivia while Mason and Samantha watch from a window. Olivia takes Mason to one of her classes, introducing him to her professor, Bill Welbrock; Mason sees them flirt. By 2005, Olivia and Bill have married and blended their two families, including Bill's children from a previous marriage. They share experiences such as playing video games and attending a midnight release ofHarry Potter and the Half-Blood Prince. Mason and Samantha are enrolled in the same school as their step-siblings, where Mason meets and befriends a girl named Nicole, who also has a crush on him. In 2006, Mason and Samantha bond with their father Mason Sr. as he takes them out for a day in Houston, culminating in a Houston Astros game and a sleepover at his house with his roommate Jimmy. Olivia continues her education and is initially supportive of Bill's strict parenting style, which includes many chores for the kids and a forced cutting of Mason's long hair. In 2007, Bill becomes abusive as alcoholism takes over his life. After Bill assaults Olivia and endangers the kids, Olivia moves the family to a friend's house and files for divorce. In 2008, Mason Sr. learns that Samantha has a boyfriend and talks to her and Mason about contraception. He and Mason go camping at Pedernales Falls State Park and bond over the music of Wilco ,Star Wars, and Mason's blossoming interest in girls. Mason and Samantha have grown into their new lives in San Marcos , a town close to Austin. In 2009, Mason is bullied by other students at school and teased on a camping trip but starts receiving attention from girls. Olivia teaches psychology at college and moves in with Jim, a student and Bosnian / Iraq War veteran. By 2010, Mason has experimented with marijuana and alcohol. Mason Sr., who has remarried and now has a baby, takes Mason and Samantha to visit his wife's parents. For his birthday, Mason Sr. gives Mason a suit andThe Black Album, a mix CD of Beatles solo songs; Mason's step-grandparents give him a personalized Bible and a vintage shotgun. In 2011, Mason is lectured by his photography teacher, who sees his potential but is disappointed in his lack of ambition and hard work. Mason attends a party and meets Sheena, who becomes his girlfriend. After Mason arrives home late one night from a party, a drunk Jim confronts Mason about his late hours. Olivia and Jim eventually split up. In 2012, Mason and Sheena visit Samantha at the University of Texas at Austin , where they share their hopes and fears about college, staying up late to watch the sun rise. Samantha's roommate discovers them asleep together in her dormitory. In May 2013, during the end of Mason's senior year in high school, he has a painful breakup with Sheena, wins the silver medal in a state photography contest, and is awarded college scholarship money. Mason's family throws him a graduation party and toasts his success. Mason Sr. gives him advice about his breakup. Planning to sell the house and downsize, Olivia meets Samantha and Mason for lunch and asks them to sort through their possessions. Later that year, as Mason prepares to leave his mother's new apartment for college, Olivia breaks down, disillusioned by how quickly life has passed. At Sul Ross State University in Alpine , Mason moves into his dorm room and meets his new roommate Dalton, Dalton's girlfriend Barb, and Barb's roommate Nicole. Mason eats a cannabis edible or mushroom chocolate given to him by Barb and the group goes hiking at Big Bend Ranch State Park . Nicole shares with Mason her belief that, rather than people seizing moments, moments seize us, to which Mason agrees.